A few weeks ago, I published the first part of the Yoast SEO Guide on how to use Yoast SEO in WordPress, regarding the Keyword tab. 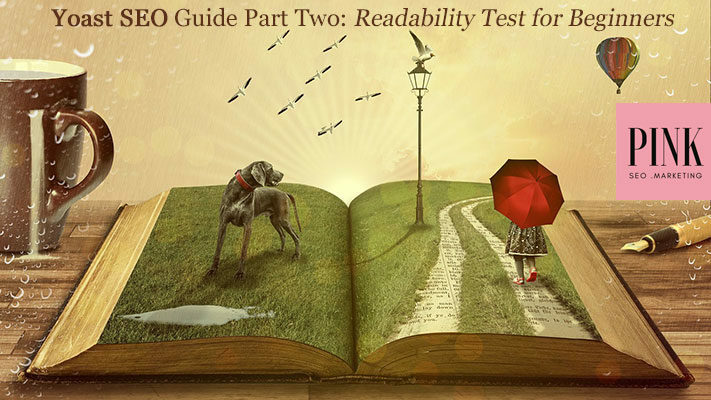 I promised to publish soon the Yoast SEO Guide Part 2 about the Readability test. I thought: nobody could better explain it, than someone who creates worlds with worlds like my friend Sara Bussandri does. Sara is a writer, blogger, and author. She helps and mentors online business owners with blogging, copywriting content marketing, and content re-purposing. I will let explain now the readability test as good as just her could. Whenever I work with clients who already use WordPress, the first thing I always ask before turning to their content is whether they have the free Yoast SEO plugin. If they don’t, we download it straight away. This fantastic tool makes creating valuable and engaging content for your business blog really easy to do. If you’re new to it, though, understanding which criteria your text is scored against can feel a bit baffling at first. When the Yoast SEO easy-t0-read traffic light system greets you with unwelcomed amber or red lights, turning them into good-to-go green can become a rather frustrating process – but only if you don’t know what to look out for! So let’s take a step back and go through the key elements you need to watch out for when you write. Are you ready for a mini-lesson on readability for beginners? 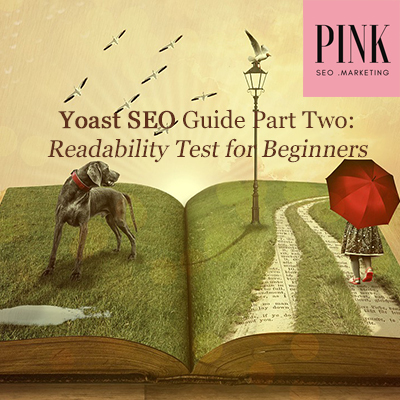 Readability for beginners: the Yoast SEO readability test. The Yoast SEO plugin has two elements to it, which are displayed through two different tabs. On your left-hand side you’ll find ‘Readability’, and on your right-hand side, you’ll see the ‘Keyword’ or SEO analysis tab. A readability test is performed as you write, and problems and areas of improvement are highlighted through a visually-enticing, easy-to-read traffic light system. For the purpose of this blog post, we’re going to focus on the Readability tab only. This automatically evaluates your content on the basis of how easy it is to read. If you keep an eye on your readability scores as you write, you’ll find the editing process a lot quicker and more straightforward. So here is a few criteria the Yoast SEO bots rate for you. Let’s learn how to make all those traffic lights green! Or in other words, avoid passive voice. Without delving into a grammar lesson here, let’s just say that using the active voice helps to make yo”ur content clearer. So, for example, I could say that “your blog posts read brilliantly when you use active voice“. Or I could say “when active voice is used, your blog posts are bound to read better.” I’ve effectively said the same thing, but doesn’t the first sentence feel lighter? Don’t you think it has a nicer ring to it? It’s more colloquial, straight to the point, and less pompous. No one wants to be accused of writing in a pompous style, do they? So whenever you can, make sure that the subject of the sentence (in our first example, ‘your blog posts‘ or ‘you’) are the ones performing the action (they ‘read‘ brilliantly, and you ‘use‘ active voice). What you want to avoid is for the subject of the sentence to receive the action, rather than performing it (your blog posts are bound to”). If you overload your blog posts with super-long sentences, the Yoast SEO traffic lights will definitely let you know. You’re allowed to use some, but otherwise, try to keep your sentences to a word count of 20 and below. Sometimes a longer sentence is necessary. But if you use one, make sure you balance it out straight away with a shorter sentence. Like this. Remember, you’re not just doing this to get the thumbs up from some dry algorithm. You’re doing this because alternating long and short sentences gives breath, rhythm, and flow to your writing. In other words, the Yoast SEO bots are helping you turn into a better writer. And honestly – what more can you really ask for from a plugin?! The length of your sentences isn’t the only thing you should pay attention to. Paragraphs and subheadings count too. Yoast SEO likes you to keep your paragraphs to 150 words or less. A paragraph should really only contain one main idea and a few supporting points that reinforce or explain that idea. And if you’re worried about having to sit in front of your laptop screen counting words one by one, I’m glad to tell you that that’s not how it works. As you may have worked out by now, if your paragraphs are too long, the bots will alert you. 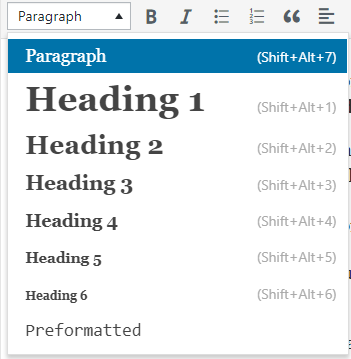 Paragraph length will appear under the Improvements section. Just click on the little eye icon to the right of that entry, and the offending paragraph(s) will be highlighted in purple. All you have to do is to go back to your text, look for a natural break or a change in topic, press ENTER, and split your long paragraph into two (or more if needed). However, I promise you that if you keep an eye on the traffic lights as your write and create content frequently enough, you’ll start to get an idea of when a paragraph is getting too long. And you’ll know it’s time to start a new one. These ‘rules’ may appear a little strict, but if you think about the way you read blog posts, by scanning through headlines looking for the key points to take away, you’ll realise that creating white space in between paragraphs calls for a better reading experience. If a long-form article had no subtitles or breaks and looked like a big block of text, would you even want to read it? The Yoast SEO plugin bots also care (for very similar reasons) about the length of your subheadings. To clarify, a subheading, in this context, is the text that follows a subtitle – so a Heading 2 or a Heading 3. You’re encouraged to keep the text to 300 words or less. So when you’re planning your content, you can think of a subheading as two separate paragraphs (of 150 words each or less), or a few shorter ones. Use transition words or phrases. Writing blog posts doesn’t follow the rules we were taught for essay writing in English classes. So if reminiscing about the long and boring academic papers you had to submit at school or uni has been stopping you from publishing engaging content on your business website, fear not. You can now drop the most formal connectives if that’s not your style. So ‘furthermore‘ and ‘nonetheless‘ can be a thing of the past. What’s even better is that now you’re allowed (and, in fact, even encouraged) to start your sentences with words like ‘and‘, ‘but‘, and ‘because‘. Isn’t that amazing?! They make your text more informal and colloquial. In other words, more accessible to your audience. But also, they guide your reader through your text. They help them navigate their way through your content and understand how each point is linked to the next. This way, your sentences flow beautifully and naturally from one to the next. Joined. Connected. Your reader is hooked. You’ve got their full attention. As you write and passionately walk your audience through a topic you’re an expert in, you’ll use these transition words or phrases naturally. But in case you don’t use enough of them, Yoast SEO will kindly remind you to scatter your text with a few more. So think of adding phrases like ‘first of all’ or ‘in addition‘. Just remember to write with the intention of logically helping your reader go through your blog post, and you can’t go wrong here. What’s the Flesh Reading Ease test? A rather more obscure entry in the Yoast Readability tab is the Flesh Reading Ease test, which automatically produces a score for you. Unless you’re writing about a very tricky topic, this is normally nothing to worry about. However, if you’re ever presented with an amber or red light, you’ll need to look into it. So what exactly is the plugin asking you to address and fix here? Essentially, you want to the Flesh Reading Ease score to be as high possible. A high score means your text is easy to understand. It means you’ve used short words and short sentences. You’re good to go. If, however, you’ve gone for very long, complicated words that you need a dictionary to decipher (here’s an example of a ‘bad’ word), your Flesh Reading Ease score will be low. A score of 0-30 means your text is harder to understand, and that’s not really what we’re going for, right? Aim for a score of around 60-70, and your content will be easy to read and grasp. Always review your posts for readability. Before you hit publish, you should always edit your text to make sure your Yoast SEO Readability test gives you a nice, green light. Yes, it can be hard to do sometimes. Once you’ve already laid out and written your content, you may struggle to cut your sentences or paragraphs shorter. It can feel frustrating. You’re so close to the end that you just want to get your work out there. But trust me, putting some extra work in before you publish your posts will pay dividends. Creating posts that are easier to read encourages your audience to actually read them. And if they like what they see, they’ll indulge on your website, hopping from post to post. That’s exactly what you want. It gives you a better chance of turning your readers into raving fans (and, let’s face it, paying clients and customers). But also, going back to those bots, the longer your audience spend on your website, the lower your bounce rate will be. This tells Google and its search engine friends that your website is worth a visit. And over time this will get you ranking higher and bring even more potential customers and warm leads to your website. With some practice, you’ll notice that you’re able to keep an eye on these criteria without having to worry about them too much. Follow the above tips, and by the time you’re done writing, you’ll be greeted with beautiful green lights. Is there a shorter, easier word I can use? Are my sentences too long? Have I alternated long and short sentences? Are my paragraphs and subheadings too long? Should I create more subheadings (using Heading 2’s and Heading 3’s)? Am I using active voice? And if not, is passive voice really necessary here? Is there enough white space in my text? Is it visually appealing? Did I connect my sentences effectively? Over to you now. What do you do to create content that’s easy to read and engage with? 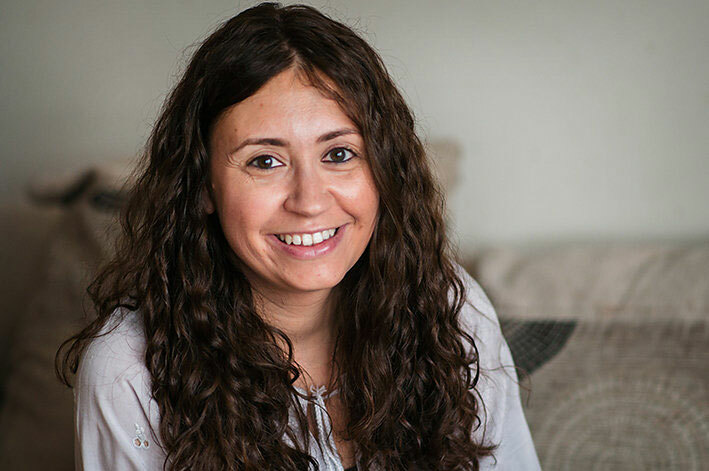 Sara Bussandri is a writer, blogger, and author. She helps and mentors online business owners with blogging, copywriting content marketing, and content re-purposing. Keep reading from Sara with her tips how to use your business blog. Check out her one-to-one packages and her done-for-you services on her website or connect with Sara on Instagram. This is the second part of the FREE Yoast SEO Guide: after checking how to have a perfect "Keyword" tab, today we learn how to get the green light in the Readability Test. If you have a Wordpress site, this is a very good help for your on-page SEO strategy. SMX London 2019, 21st – 22nd May: get your tickets 15% cheaper! What can you get out of a competitive review?